Tommy Bell is a young boy who has found an old bushranger’s hat. When he puts it on he’s transported back in time 150 years to the Bushranger era. Now whenever he wants an adventure, all he has to do is don the hat and back he goes. 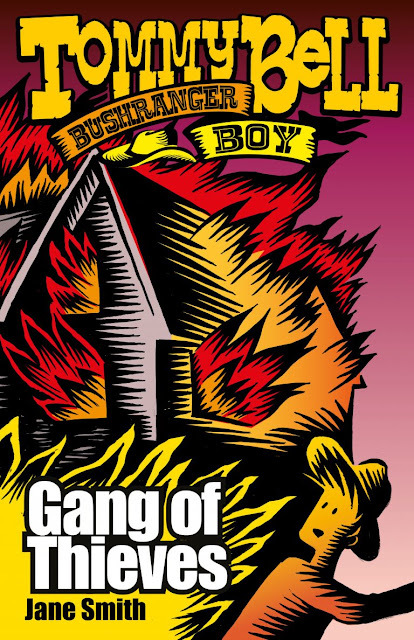 Book 5 - Gang of Thieves finds Tommy Bell at school camp which he sees as both good and bad. The worst is Mr Porter, who is mean and nasty, with never anything kind to say to anyone. The camp is at Young, formerly known as Lambing Flat, the early gold mining town. The children are there to pan for gold. But when Francis, whose family is in desperate need of money finds a nugget, Mr Porter takes it from him as punishment, claiming they had panned out of bounds. Tommy and his friends are determined to fight Mr Porter’s decision and get Francis his gold back. Meanwhile, Tommy is off on one of his adventures thanks to the bushranger’s hat. He travels back to a camp site where Ben Hall sits. Tommy likes Ben even though he knows that good people do bad things. Tommy finds himself with Ben’s gang on raids and robberies. During this time, he again witnesses the cruelty and hard-heartedness of the policemen, as they burn down Ben’s girlfriend’s hut for revenge. He acknowledges that outlaws are hunted and jailed, but never given the opportunity to reform. 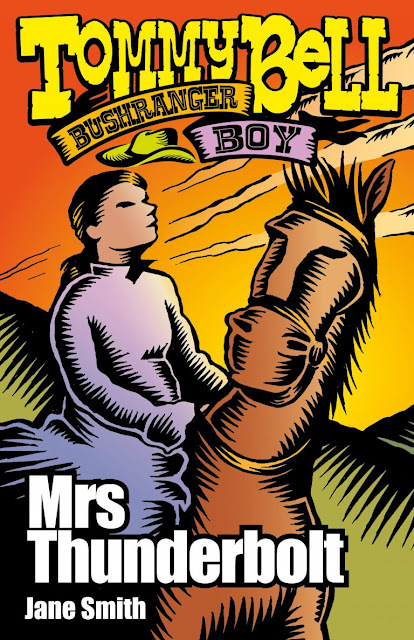 In Book 6 - Mrs Thunderbolt, Tommy is at Pony Camp with his beloved horse Combo. When separated from the rest of his group due to his constant daydreaming, he decides to put on the hat and enjoy an adventure. He comes across Mrs Mary Ann Thunderbolt, wife of the bushranger Captain Thunderbolt (real name Fred Ward) and her two young daughters. Although pregnant, this is no obstacle to the policeman who arrests her for receiving stolen goods. But Mary Ann is clever. She pretends to go into labour and is left at a farmhouse under guard. Tommy finds himself with Thunderbolt and his gang in several situations where they take what they want with guns and a simple bail up! He learns that many bushrangers live for the excitement and daring that comes with their lifestyle; that they mostly steal but never kill. The others are simply bad through and through. At the end of every book in the series there are historical/biographical details about the main character and a Q&A with them, where we hear their side of the story. This series delivers the Australian Bushranger history to young readers through adventures and dilemmas that Tommy faces when he dons the hat and keeps company with the bad guys. This is a terrific series for reluctant readers. Although aimed mainly at boys, girls will also enjoy the excitement and freedom that is reflected in the stories, as women also played a big part in Bushranger history.